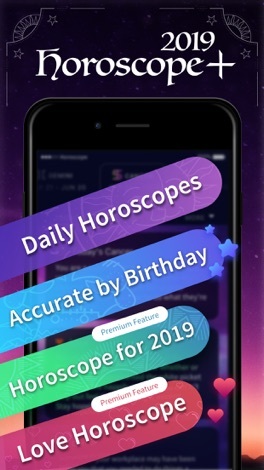 Detailed & accurate daily horoscope based on your date of birth, love horoscope and love life predictions, prepare for 2019 horoscope report and more! 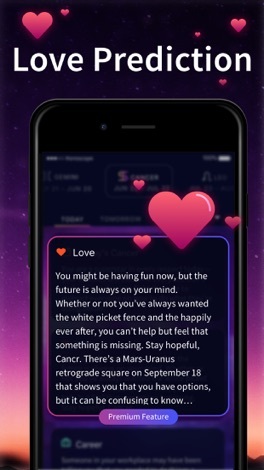 Get your daily horoscope plus 2019 updated horoscopes. 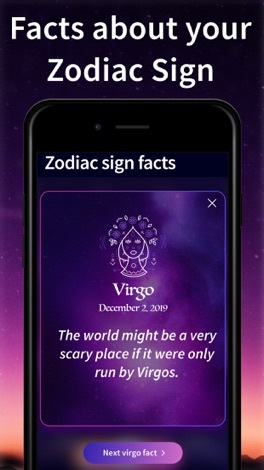 * Daily Horoscope for all Astrological Zodiac Signs - choose your zodiac horoscope sign and get an astrology forecast of your daily, weekly horoscope and monthly horoscope. 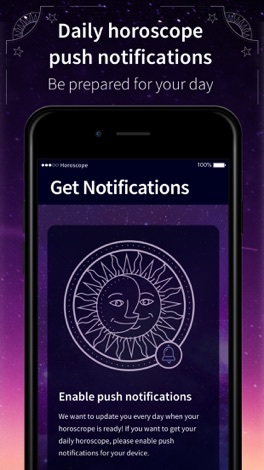 * Wake up to your personal horoscope - be prepared for your day with a personal horoscope push message every morning! 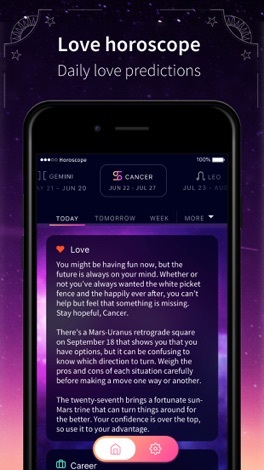 Get a personal daily horoscope push message with your horoscope so you can be ready for your day! Download it now and enjoy it all! "Astrology is just a finger pointing at reality. ~Steven Forrest"
We have added the Premium subscription to get more awesome features. You can get a free trial to see it for yourself! 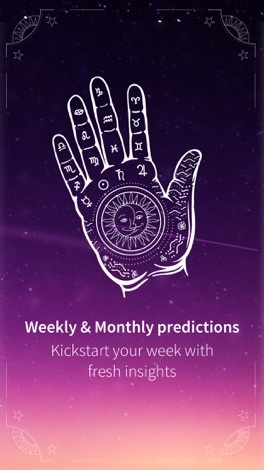 Premium gives you unlimited access to future prediction, daily exclusive content, love & career horoscopes and Ads-free experience. This subscription will be charged to your iTunes account at confirmation of purchase, and auto-renews at the end of each month or year at the mentioned monthly or yearly subscription price, unless cancelled 24-hours before the end of the current period. You can turn off auto-renew at any time from your iTunes account settings. Any unused portion of a free trial period will be forfeited after the purchase. No cancellation of the subscription	is allowed during active period. WellConnected allows you to connect with other people at the same event. Find the event and search the guest list to start making connections. Use the meeting planner to schedule meetings and start what could be the beginnings of a valuable business relationship. NewClub is proud to announce The NewClub Mobile App. Members have access to Daily Updates, Live Scoring, a Member Directory, Event Itineraries, and more. Wheelchair repairs management app for research at University of Pittsburgh. You need to have username and code information provided by the study coordinator. This app requires persistent location from your GPS to track the distance of your wheeling. Continued use of GPS running in the background can dramatically decrease battery life.